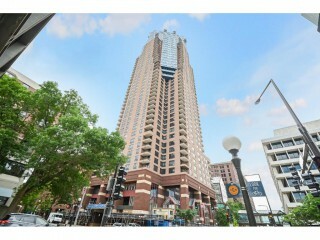 $$Million Dollar$$ Views are here in Downtown St Paul!!! Enjoy Main Level Living 31 floors in the sky! Updated Kitchen has Quartz countertops, Stainless Steel appliances, tiled floors & huge Walk-in Pantry. Watch the sun & the stars from your bright & airy living room w/ windows throughout or check in @ the Capital as you drink morning coffee. Don't miss 2 large Decks, bedroom-sized Walk-in Closet & Large Owner's Bath w/ separate whirlpool tub & shower. Move on up, make your dream reality!